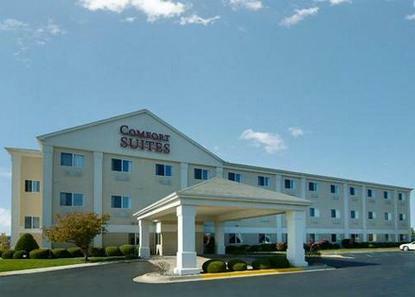 Located in the heart of shopping and restaurants, this all suites hotel offers FREE continental breakfast, FREE high-speed wireless Internet, heated indoor pool and spa, and all one-room suites with microwave, refrigerator, in-room coffee, hair dryer and iron with board. Located two miles from Saginaw Civic Center and Saginaw Valley University. Connecting rooms not available. Rollaways not available. Pet accommodations: 50.00 per stay per pet. Limit 1 pet per room 50lbs or under. All Comfort Suites are smoke free.